The Jasmine revolution has catapulted Jews into the limelight, and will herald a better era for Tunisia's 1,500-strong community, argues Mohamed Ghannem in 'Ou en sont les juifs tunisiens?' (Information Juive July/August 2011 - article not yet online). Ghannem is an expatriate cardiologist working in France who has visited Israel. His name has been put forward as a possible minister in the new Tunisia. Ghannem believes, somewhat controversially, that until the Six Day War broke out in 1967, Arabs and Jews lived in 'perfect harmony'. The Jews came under president Bourguiba's protection. Today there are some 1,400 Jews living peacefully in Tunisia, 1,200 of them in Djerba. As a result of the revolution of 14 January, the Jews have acquired a higher profile, according to Ghannem. Before the revolution, the Jews almost never featured in the media, except as model loyal citizens - ('more Tunisian than the Tunisians' ). Currently there have been a dozen TV programmes about them. The cancellation of the Ghriba pilgrimage this year was announced on National TV. Even Al-Jazeera did a filmed report. "During the January revolution - and in spite of the power vacuum and reigning sense of insecurity - not a single Jew was molested or worried. No Jewish building was touched. In truth only a small mausoleum at the heart of a Jewish cemetery in Gabes was damaged. No grave was desecrated," Ghannem writes. "If in the past, Jews have been marginalised in Tunisian politics, they are being sought out by Tunisian political parties and some (Jews ) have become politically active. 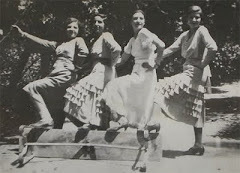 "The Jews, like other Tunisian citizens, have thrown themselves into the rebuilding of their country. They feel freeer and more secure in their commitment to investment and enterprise.
" For Tunisian Jews this revolution is, I think, proof that it promises democracy and freedom for all without distinction and is based on universal values." My comment: Perhaps Dr Ghannem is being over-optimistic when he says that not a single Jew has been worried by the revolution. There is evidence to the contrary. What about Islamist demonstrations outside the Great synagogue? What about the attack on a Djerba wedding? What about the moves afoot to make normalisation with Israel against the law? With Israelis camping out in the streets in protest against a chronic shortage of affordable housing, who should jump on the bandwagon but Mya Guarnieri, al-Jazeera's woman in Tel Aviv. Guarnieri wonders why the media have been ignoring the good citizens of Kfar Shalem, an area of south Tel Aviv threatened with demolition which she wrote about in February. Kfar Shalem may not be familiar to most Israelis but it is certainly known to readers of this blog, when Point of No Return covered the mostly-Mizrahi residents' struggle to fight eviction in 2007. Young anti-Zionist radicals like Guarnieri can't resist politicising what is essentially nothing more sinister than the common man's universal fight against encroaching urban gentrification and redevelopment. Once an economically depressed neighborhood of South Tel Aviv, Kfar Shalem, "was once a Palestinian village, Salame. Jewish forces ran the Arab residents out in early 1948, months before Israel was established and (what some refer to as) the War of Independence began. The young state gave the empty Palestinian homes to impoverished Mizrachi Jews. The idea, some residents of Kfar Shalem admit today, was to discourage dispossessed Palestinians from returning. The Jewish occupants were to “guard” the houses. These new residents also created facts on the ground and, after the 1948 War, the municipality of Tel Aviv annexed Jaffa and Salame—both of which were destined for a Palestinian state under the partition plan approved by the UN in November of 1947. Not a word of course, about the Arab aggression that caused the 'War of Independence'. Nor is Guarnieri remotely troubled by the thought that the impoverished Mizrahi Jews could have themselves been dispossessed of their homes in their Arab countries of birth. For Guarnieri, Arabs can only ever be victims. This blog has already drawn attention to the double standard among far-leftists for whom Arab property rights invariably trump Jewish rights, for example in Jerusalem's Sheikh Jarrah. These leftists are only ever exercised by injustice against Jews when the Ashkenazi-dominated ruling elite can be blamed. .. many of the Jewish Israelis I interviewed were upset with their fellow citizens for not doing more to help them in their battle against homelessness. Some also expressed frustration with the Israeli left because they felt that such activists reserve their sympathies only for Palestinians and foreigners. Good for you, residents of Kfar Shalem, for making a stand against the leftist manipulation of your grievances to advance their own political agenda. A delegation of professors from a leading foreign university flew to London last Friday to honour a British supporter of their country's burgeoning programme of Jewish studies. Philanthropist Naim Dangoor, who is 97, was made a consultant professor of China's Nanjing University in an award ceremony held in his Kensington apartment. "We are very proud that you are now one of us," Nanjing vice-president Xue Hai Lin told Professor Dangoor, newly decorated in his black and red academic robes and sporting a black mortar board with red tassel. Nanjing's Institute of Jewish Studies opened in May 1992, just a few months after Israel and China established diplomatic relations. According to Professor Xu Xin, director of the Nanjing Institute and president of the China Judaic Studies Association, there are now around 10 Jewish studies centres in the country. Nanjing's 800-page Chinese translation of the Encyclopaedia Judaica is the standard reference work on Judaism in the country and its other works include a how-and-why of antisemitism as well as a translation of Martin Gilbert's Atlas of Jewish History. Iraqi-born Prof Dangoor said that he was "greatly honoured" by his award, which he received along with a gold thread embroidered tapestry of a kirin, a mythical beast which signifies good luck, prosperity and a long life. Rabbi Elazar Abuchatzeira, stabbed to death shortly after midnight on Friday morning, was scheduled be laid to rest at the Mount of Olives Cemetery in Jerusalem on Friday afternoon. Killed at a Beersheba yeshiva, Rabbi Elazar Abuchatzeira was a well known religious figure and the grandson of Rabbi Yisrael Abuhatzeira, known as the Baba Sali, whom his followers believed was able to work miracles. The funeral procession was expected to set out from the Porat Yosef yeshiva in Jerusalem's Mea Shearim neighborhood around noon. Several hundred police officers were deployed along the route of the funeral procession to direct traffic and maintain order. Stunned followers told police Abuchatzeira was stabbed in the upper body by a man he had received as a visitor. A Lebanese belly dancer is facing death threats and cannot return to her homeland after embracing an Israeli musician at an international festival in France, blogger Elder of Ziyon reports. On June 19, Israeli heavy metal band Orphaned Land performed alongside Lebanese belly dancer Johanna Fakhri at the Hellfest music festival in the western French town of Clisson. At the end of their performance, the Lebanese dancer held up her country’s flag while Orphaned Land's singer, Kobi Fahri, held up an Israeli flag. The two then hugged and clasped each other's hands. Israel and Lebanon are technically at war and it is illegal under Lebanese law for any citizen to have public interactions with an Israeli. Media outlets around the world carried the image of Fakhri and Fahri brandishing their national flags, prompting a seething Hezbollah to declare Fakhri a traitor and issue a death warrant for her. The dancer has since been hiding out in France, fearing for her life if she returns to her homeland. The Israel-Kurd magazine is defying an Iranian move to persuade the Kurdish regional government to close it down. The magazine's publisher and head of the Israel-Kurd Institute, Dawoud Baghestani, affirmed that he would continue producing the magazine. According to 'confidential' information, which several media disclosed, the Iranian government asked the Kurdish regional government to suspend and close down the magazine, described as a threat to Iranian-Kurdish relations. In an official statement, Baghestani says that the magazine (founded in 2008) has a legal permit to publish from the Kurdish government and would continue to operate within the law. The magazine was trying to bring together Kurds and Israel, 'their oldest friends in history, in order to save Kurds from surrounding threats'. Several bombings in Kurdistan are thought to have been instigated by the Iranian army. "This is another subject between Iran and Kurdistan...we know what the main cause of this problem is", the statement says, tongue-in-cheek. For centuries, Jews lived among the Berbers of Yafran, observing the Sabbath at the synagogue of Ghriba, but they suddenly left 63 years ago, and their land in Libya remains untouched. 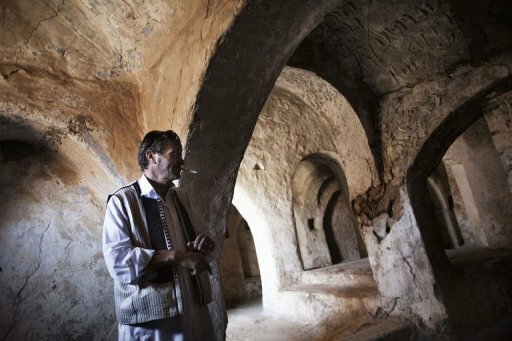 Every hamlet around Yafran bears the mark of the Libyan Jews, who arrived in the country 2,300 years ago and, until their departure soon after Israel's creation in 1948, constituted half the city's population. Everywhere, the ruins of their homes still cling to the mountainside. Some were lived in, others subsumed by the Berber population. Time has taken its toll, but the houses remain untouched and uninhabited. "It's just as it was before," says Tarek Ayad, a 58-year-old retiree. Numerous abandoned synagogues remain intact, silent witnesses to the co-existence of the two peoples. 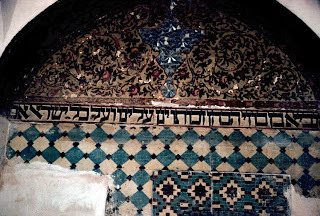 Amid the coloured mosaics of Ghriba synagogue, Hebrew inscriptions overlap those in Amazigh, the language of the Berbers. Moulded Stars of David have been unharmed in one synagogue, despite it having been converted to a mosque after the Arab conquest of the 7th century, while the Jewish cemetery, with its many ancient tombs -- some of which are dug into the rock -- borders a Berber graveyard. Some in Yafran remember the names of prominent Jewish families: Aaron, Mguelish, Guetta. For generations, fathers and sons alike were rabbis. Others recall how the Jews were mainly traders, and how they shared common rituals with the Berbers, some of whom even converted to Judaism. Today, however, there are no witnesses left of this bygone era. 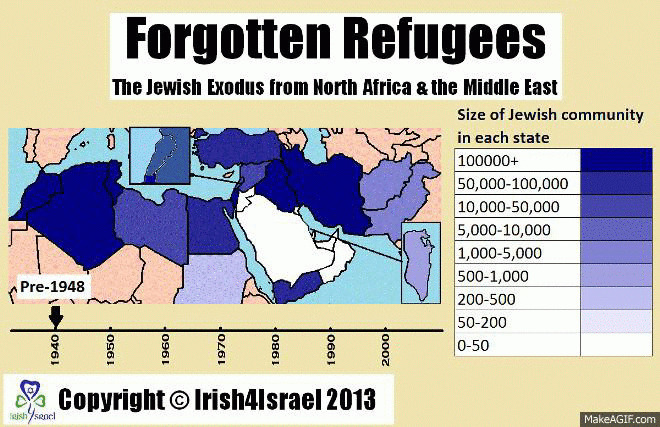 The last Jews left in 1950, and those old enough to remember that exodus left when the fighting started. "All I know is that we used to live together and that there were no problems. My father told me they were good people," says Ahmed Siguk, an 46-year-old engineer. Although more than 100 Jews died in Libyan pogroms in 1945, they are still considered to be part of the city, despite decades of anti-semitic propaganda since World War II. "They are part of our population, they have lived here a long time. They are from this land, and spoke Amazigh," Ayad says. A pair of twins are passionate about this history. 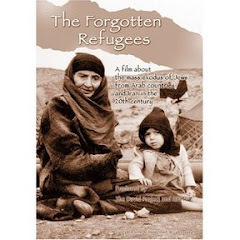 Researching their Berber background -- itself a tale of repression under Moamer Kadhafi -- they found the story of the Jews to be remarkably similar to their own, so close were lives of the two communities. For 10 years, they secretly recorded witness testimony, archived marriage certificates and land deeds, and took photographs. Yet nothing remains of this historical material, which was all confiscated in December last year when the twins were arrested for Berber activism and accused of spying for Israel. But they remember a little of what the elders told them about their day-to-day life together. "An old man told me that on holidays, Berber children would go to the synagogue in Ghriba, where they would sometimes listen to readings from the Jewish holy books," says 29-year-old Madghis Buzukhar. But one day in 1948, the Jews left. "The same man recounted to me how everything was normal, people were working, conversing. But the next day at dawn, he saw a convoy of trucks leaving, carrying most of the city's Jewish families," says Buzukhar. Most of Libya's Jews left for Israel or Italy -- the North African country's former colonial ruler -- whereupon the shared history fizzles out, unlike the attachment to the neighbours who disappeared. Two years ago, the residents of Yafran raised a petition against the planned demolition of most of the Jewish monuments in the town, says Buzukhar. One anniversary has not gone unmarked by the BBC, of all broadcasters - the fiftieth anniversary of the smuggling of over 500 Jewish children from Morocco to Israel in Operation Mural. Last week, it was the subject of a 10-minute World Service Radio programme - Witness. Mural was Mossad's code-name for David Littman, whose cover was a public-school-educated Anglican gentleman, on tennis-playing terms with the British consul, and with excellent security contacts in Casablanca. His mission was to defy the Moroccan ban on Jews wishing to emigrate to Israel. Yossi Shahar was one of the children smuggled out to what the Moroccan authorities thought was a holiday camp in Switzerland. In fact Switzerland was a way-station to Israel - and the children, although separated from their parents, had no intention of coming back home. Alan Johnston - the BBC journalist who spent several months as an Army of Islam captive in Gaza - narrates the programme. All credit to producer Helena Selby who managed to surmount many obstacles in order to get this programme out on air. The Los Angeles Times recently gave a platform to Hagit Borer, an Israeli-American participant in the Gaza flotilla. In its rebuttal of Borer's distortions, the media watchdog CAMERA demonstrates that Palestinians are still more likely to get compensation and restitution from Israel than Jews who lost property in Arab countries. She (Hagit Borer) bemoans the fact that today's Jerusalem is "different" than the city she grew up in before 1967, charging that now "It is not [the Palestinians'] Jerusalem, for it has been taken from them." Nevermind that the city is now more Arab and less Jewish than it was on the eve of the Six Day War. Nevermind that Arab building has outpaced Jewish building in the city since 1967. Nevermind that no part of Jerusalem was ever ruled by Palestinians. After 1967, control over Jewish-owned property in the Shimon HaTzadik neighborhood that had been seized by Arabs was transferred from the Jordanian Custodian of Enemy Property to the Israeli Custodian of Absentee Property. In 1972 the Israeli Custodian released the land back to its owners (the Committee of the Sephardic Community and the Ashkenazi Assembly of Israel). In 1988 the Israeli Supreme Court ruled that the 28 Arab families living on the premises enjoy the status of "Protected Residents," but that the ownership of the land belongs to the two Jewish organizations. True, those Palestinians who lost their homes in Talbieh and Katamon cannot return, while Jews have successfully reclaimed Jewish property inhabited by Arabs who failed to pay their rent. (It is worth noting that just a couple of weeks ago the Jerusalem Magistrate's Court rejected a Jewish bid to evict an Arab family from a Sheikh Jarrah home because the judge ruled that it could not be proven that the family did not pay rent to the Jewish owners.) 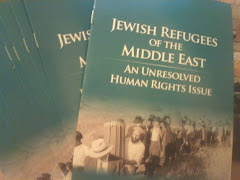 If Borer were truly interested in comparing the two situations -- restitution to Jewish refugees versus restitution to Arab refugees -- she would ask: Have any of the hundreds of thousands Jews evicted from their homes in Arab countries, where, in her words, they "recently raised families and lived their lives," received compensation, as have some 15,000 Palestinian Arabs received compensation from Israel? 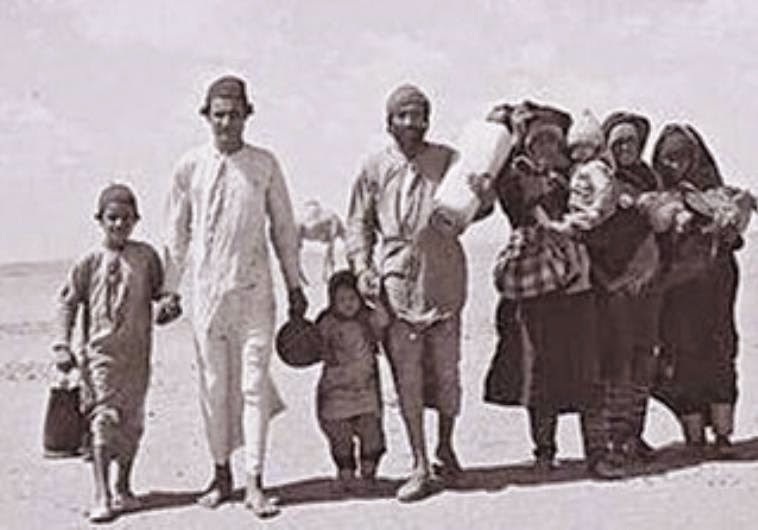 What legal recourse is available to Jewish refugees from Arab lands who lost their properties when they were expelled or fled from their homes? Of course, even this situation is not a true parallel, since the Jewish refugees from Arab countries did not instigate any war aimed at destroying a state. Is new Moroccan Constitution good for the Jews? Could the new Moroccan Constitution, approved this month by popular referendum, be a breakthrough? Could it be a blueprint for other Arab countries in 'democratic' transition to follow? Writing in the New York Times, Ahmed Charai (despite earlier scepticism) and Joseph Braude can barely contain their excitement. Morocco also has a deep historical bond with the Jewish people: the king protected 200,000 Moroccan Jews from the Nazis during World War II*, and nearly one million Israelis have Moroccan roots — including some senior political and military officials. Morocco can extract concessions from both parties to the conflict that Egypt never could. To commemorate Israel’s Independence Day of May 2012, thousands of activists will board hundreds of airlines throughout Europe and fly into every Arab country from which the Jews were expelled since 1948. The mass fly-in will protest the expulsion of the Jews from Iraq, Yemen, Libya, Syria, Egypt, Algeria and Jordan. Huge demonstrations are scheduled to be held in Damascus, Syria, in Cairo, Egypt and in Algiers, Algeria where rioting descendants and activists will violently demand that the expelled Jews and their descendants (estimated today at 5 million people) be allowed to return to their villages, farms, homes and land. Massive protests will also be scheduled to demand that the expropriation of the Jews’ properties and wealth be reversed and they be repaid fully, in today’s estimated monetary value. Approximately four-hundred reporters, cameramen and other media personnel have already signed up to record the protests as they develop and broadcast it to the world. CBS, FOX Network, BBC, Al Jazeera and others are scrambling to have their reporters credentials accepted and verified by the host Arab countries so that not one reporter will be barred from any country he / she wishes to cover. As a twin action designed to coincide with the massive flytilla, the organizers have been granted permission by Greece to have a two-hundred-ship flotilla which will set-sail from a number of its ports towards the ports of the above-mentioned Arab states. The last Jew in the Malaysian town of Penang has died, just short of his 90th birthday. Mordecai David Mordecai, known affectionately as Uncle Mordy, was buried in Penang Jewish cemetery alongside his parents. Fifty friends and neighbours attended the burial, among them a handful of Jews. With his passing, the only Jew to hold a Malaysian passport is Mordecai's niece Tefa Ephraim, who now lives in Sydney, Australia. Mordecai was the son of David and Mozelle Mordecai, who came from Baghdad to Penang in 1895. David Mordecai was active in the tin and rubber industries under British rule and a colonial turf racing enthusiast in Penang and Singapore. Mordecai spent his career in hotel management in Penang. Tunisia has a history of secularism and devotion to education and modernization. It is no surprise that the new government would cater to public opinion by making Islam the state religion. But the move to ban any chance of reconciliation with Israel and to make support for the Palestinians part of Tunisia’s new charter is something else. Under the old regime, the small but still vibrant Jewish community was protected and tourism from world Jewry was encouraged. But Islamists are more of a force in Tunisia than before simply because they are no longer the objects of repression as they were under the now deposed authoritarian rulers of the country. While there appears to be no immediate danger of Tunisia abandoning its secular ways and following a more Islamist path even in a democratic context such as has happened in Turkey, the debate over the new constitution is troubling. If there was any country in the Arab world where Jews were made to feel welcome both as citizens and visitors, it was Tunisia. But if the new Tunisia proves more hospitable to Islamist extremism and opposed to peace with the Jewish state under any circumstances, then it will be one more reason to believe the Arab Spring has turned out far worse than its Western supporters hoped. The forced departure of Dutch Jews contributed to the rapid decrease in the size of Indonesia’s Jewish community from 1957. According to a report by the World Jewish Congress published just a few days after the issuing of the order of expulsion, there were approximately 450 Jews in Indonesia in November 1957. Just a decade earlier there had been over four times that number. The report predicted that the rapid deterioration of Dutch-Indonesian relations was a real threat to the viability of the tiny community. Six years later only 50 remained. But not all the Jews who left the archipelago were Dutch. Others, too, fled in the face of the increasing tension between Indonesia and the Netherlands and its ramifications in Indonesia, including the nationalisation policy, the threat of armed conflict over West Irian, and the growing tide of nationalist sentiment and xenophobia. Among those who left was the young Eli Dwek, the oldest of three sons of a Sephardic Jewish family living in Surabaya. Eli’s story: The Dweks had arrived in the 1920s. 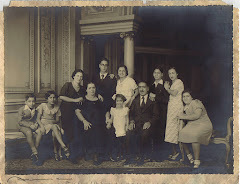 Eli's father, Gabriel Dwek, left Jerusalem for Surabaya in the mid-1920s with his older sister Rachel and her new husband, Moshe Bar, an Iraqi Jew who had an optical shop in Surabaya. The shop manufactured lenses, provided reading glasses, and imported and sold a variety of optical equipment. Although a child at the time his family left Indonesia in late 1958, Eli believes that the seeds of his family’s decision to emigrate from Indonesia had been sown as early as late 1956 on the backdrop of reactions in Indonesia to the developments in the Middle East. In late 1956, Israel had launched a military operation against Egypt in the Sinai Peninsula. Around the same time, Britain and France launched an offensive in response to Egypt’s decision to nationalise the Suez Canal. Nasser’s Egypt was Indonesia’s close ally in the struggle against colonialism and imperialism, and the Anglo-French offensive stirred up anti-Western sentiment in Indonesia. A debate ensued in the Jewish community about where to go. Whereas Jews of Dutch origin went back to the Netherlands, for the Iraqi Jews, going back to Iraq was out of the question. Some had British citizenship because of their stay in India, and chose Australia as their new home. Others left for the United States. But for the Dweks the choice was clear. Their family and history were firmly rooted in Israel. As a young child, leaving Indonesia was a great adventure for Eli. An army of grandmothers, uncles and numerous cousins awaited their arrival, and finally he would be in a land where he would not be a foreigner. For his parents the move was tinged with anxieties about settling in a new country that was undergoing a period of economic austerity, about their financial future, and about how the children would cope in a new home and culture. Seeds of renewal: The forced departure of Dutch Jews in 1957 and the voluntary migration that followed constituted a watershed in the history of the Jews in Indonesia. Already small Jewish communities were threatened with extinction, their social networks and ritual life decimated. By the end of the twentieth century, only some 20 members of Indonesia’s two largest Jewish communities remained. In the absence of Jewish immigration to Indonesia, it appeared that Indonesian Judaism was doomed. But fate is a funny thing. In recent years, two synagogues have opened in Manado and Tondano, two cities in the Minahasa region of North Sulawesi. These synagogues were founded by descendants of families of Dutch Jewish ancestry in this region. For Jews in the Minahasa region, conversion to Christianity was common after Indonesia gained its independence, as Christianity is the dominant religion in that area. Now their descendants are rediscovering their Jewish roots. Perhaps the curtain is rising once again – at least slightly – to reveal a new scene in the history of the Jews in Indonesia. The independence of South Sudan is a significant milestone in the struggle of small nations for national independence, a struggle that began in the early 19th century with the Greeks’ war of independence against the Ottoman Empire. After dozens of years of struggle against bloody oppression by the Arab and Muslim Sudanese leadership in the north, the south − most of whose black residents are Christians or animists − achieved something that should have been attained without bloodshed, in a properly run world with an international community that sticks to its principles. Modern Greece achieved independence not only thanks to public opinion in Europe, which supported the Christians’ struggle to be released from the Muslim yoke, but also because it was in the interest of the great powers, Great Britain and Russia, to weaken the Ottoman Empire. Similarly, U.S. and Soviet support for the 1947 United Nations partition plan for Palestine and the establishment of a Jewish state stemmed not only from shock at the horrors of the Holocaust, but also from complex considerations relating to the foreign and domestic policies of those two great powers. The same is true in South Sudan: The fact that much of the population is Christian led U.S. Protestant groups to pressure their government to use its influence in the interest of the south’s right to self-determination. As is frequently the case in international relations, humanitarian considerations are not sufficient for bringing about the desired ethical outcome: Policy and power considerations must be brought to bear to achieve what is normatively the right thing in the real world. It was Theodor Herzl who understood that without the support of the great powers, there would be no chance for Zionism, and therefore he wooed emperors, kings and world leaders − a policy that eventually proved itself with the Balfour Declaration and the UN partition plan. It’s not enough to be right; you need the support of a great power as well. This is especially true when it comes to small, weak nations like the Greeks, the Jews, the Kurds − and now the inhabitants of South Sudan, too. Yet there is another aspect to the independence of South Sudan: The original borders of Sudan, which won independence in 1956 from joint Anglo-Egyptian rule ‏(which was in effect a British colonial administration) were drawn after England assumed control of the region in the late 19th century. They did not accord with any geographical or historical framework, and reflected only the British Empire’s expansionist capabilities. The boundaries and the very establishment of all countries in the region were arbitrarily determined by British and French imperialism, after the downfall of the Ottoman Empire in World War I. Those two empires set the borders and divided the spheres of influence between themselves, without any consideration of the needs, composition or nature of the populations. The only exception was Egypt, an ancient country with a rich history. In their present borders, Syria, Iraq, Lebanon, Jordan, Libya and Sudan are modern creations − products of European imperialist decisions. The paradox lies in the fact that when these countries received independence, it was in the interest of their rulers − whether royal dynasties or republican-military dictatorships − to maintain those borders, because any change was liable to lead to wars and conflicts with unforeseen consequences. In this way Syria and Iraq − which had never existed as separate political entities within their present borders − certainly not during the period of Arab and Muslim rule in the region − became separate countries. The fact that all these countries were home to many ethnic and religious minorities ‏(Sunni and Shi’ite Muslims, various Christian denominations, Kurds, Druze and Alawites‏) led, among other things, to the growth of dictatorships, since only tyrannical regimes like those in Syria and Iraq could hold together the mosaics of various ethnic, religious and tribal groups. Arab nationalist ideology, which presented these new countries as an integral part of the Arab world and was the “glue” that granted them legitimacy, reflected reality only in part, but for several decades it served as a powerful device for oppressing minorities − Kurds in Iraq and Syria, non-Arabs in Sudan. Even the constant pressure on Lebanon to accept pan-Arab policy, at the expense of maintaining its unique character as a multiethnic, multireligious society, is part of the attempt to force an Arab national identity on a pluralistic, complex society. The independence of South Sudan is a sign of the disintegration of these postcolonial frameworks, which in the name of Arab nationalist ideology tried to forcefully impose solidarity and uniformity in places where in effect there were many differences. It was preceded by the de-facto autonomy of the Kurds in northern Iraq after the fall of President Saddam Hussein. There is still no guarantee that Iraq itself, split between a Shi’ite majority and a Sunni minority, will continue to exist as a coherent body politic. The World Organization of Libyan Jews (WOLJ), representing 200,000 former refugees, most of whom live in Israel, has officially recognized the Benghazi-based rebels – the Libyan National Transitional Council – as Libya’s legitimate government, The Jerusalem Post reports. 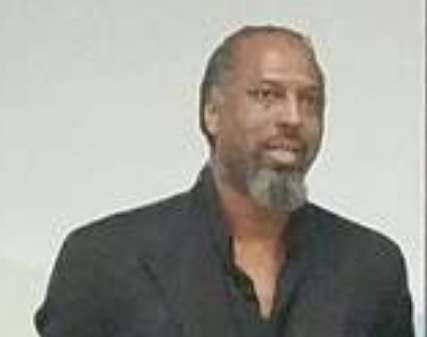 While some would see this move as premature while Muammar Gaddafi remains in power, it makes sense for Libyan Jews to show solidarity with the rebels, and David Gerbi, the WOLJ representative, has personally showed his commitment to them. However, I feel that David Gerbi dwells on the points of contact between Libyan Muslims and Jews, without drawing enough attention to the unresolved abuses and uncompensated dispossession the Jews have suffered. Most importantly, WOLJ could have made the point that ex-Libyan Jews will not be exercising their 'right of return' from Italy and Israel. In a letter to Mustafa Abdul Jalil, head of the NTC, the Israeli president of WOLJ, Meir Kahlon, offered his organization’s support and assistance. Gerbi, an Italian Jewish Jungian psychologist born in Tripoli in 1955, has made several trips to Libya in the past decade in attempts to negotiate reconstruction and reconciliation for the Libyan Jewish community that traces its origins to the third century BCE. Last month, as the first Libyan Jew to publicly declare his backing for the NTC, he worked as a volunteer teaching methods for healing victims of post-traumatic stress syndrome in Bengazi’s Psychiatric Hospital. “The world-wide community of Libyan Jews is proud that its son, David Gerbi, has made his way to Bengazi to provide humanitarian assistance on the ground to the brave people of that city,” the letter said. Italian diplomatic sources in Bengazi confirmed to Gerbi that Kahlon’s letter was well received and that Jalil’s secretary had asked officials to ask Gerbi to postpone a projected trip to Libya until the end of the revolution. Gerbi has had unofficial support from Italian diplomacy on all levels. Italian officials said they are interested in encouraging reconciliation between Libya and its former Jewish population in the interests of interreligious relations and democracy. Gerbi, who stressed his triple identity as an Italian, a Jew with vital connections to Israel, and a Libyan, wants to return to his volunteer work for those he considers his Muslim Libyan brothers and sisters in Bengazi. And now, as Libyan Jewry’s official representative, he hopes he will be able to fulfill his commitment to restoring and re-consecrating the Libyan Jewish heritage and to working for the free movement of people between Libya, Israel and the world. He also hopes to arrange a religious burial for the remains of Libyan Jews in that city, whose bones are stored in trunks. My family could have boycotted anything and everything from the lands that had caused my grandparents to emigrate, but they never held grudges and assumed that in time great leaders would emerge to bring a better life to the people of the lands from which their parents had fled in terror. In the 1930s refugees from Nazi Germany and from the large list of Nazi-occupied lands arrived in the USA. Many of these included Jews from the Middle East and North Africa, where the Grand Mufti al Husseini had rallied his troops to join the SS and who had a thriving office in Berlin. These new immigrants to the USA went on to careers and quiet lives, holding no grudges against their many native lands. Until very recently it was an unwritten and sad fact that Jews could not join country clubs in many parts of America. So they started their own clubs. In a way my family, like millions of other ethnic groups, lived in their own neighbourhoods for their own peace of mind. Not quite apartheid, but there were boundaries. Henry Ford, Walt Disney and Thomas Edison were not fans of my tribe and there is a legend that Edison, in his own loathsome manifestation of personal artistic boycott, petitioned the New York legislature to bar immigrants from operating film studios in New York and that is why Hollywood was born. The immigrant moguls Louis B Mayer, the Warner Brothers, Goldwyn, Lasky -- the list goes on and on -- set up in California and the rest is history. These men -- and indeed refugees of other faiths in the USA - could have spent their lives blowing up cafes and subway trains and shooting rockets at churches but they got on with their lives and resigned themselves to the fact that they would never see their abandoned homes in the Old Country ever again. From the seed of these immigrants came Leonard Bernstein, Barbra Streisand, Arthur Miller, Stephen Spielberg and hundreds of other performers, producers, composers and writers, not to mention Drs Jonas Salk and Albert Sabin, whose polio cure changed the world. Billions of people across the world owe their lives to these men. 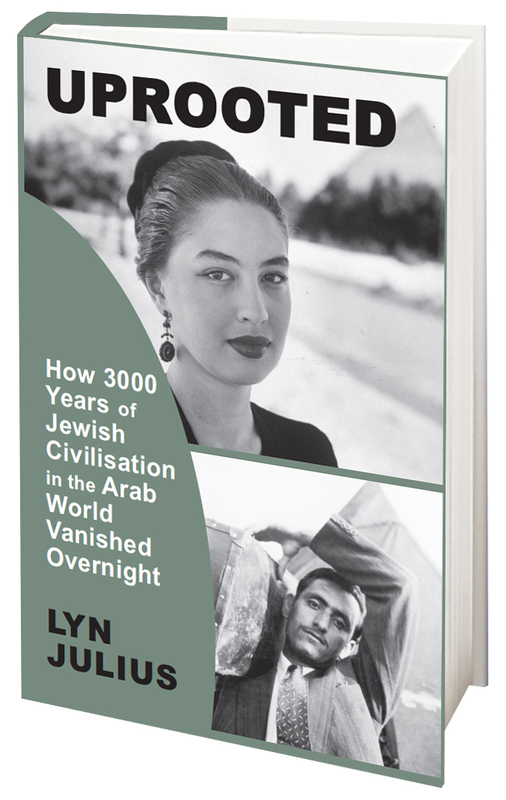 890,000 Jews who were tortured, lynched, burned and expelled from Arab lands after 1948 and who settled in other countries around the world having lost everything except the shirts on their backs went on to illustrious careers in the arts and other professions. Despite their anguish at the loss of their homes and businesses they and their progeny have made new, productive and non-violent lives for themselves in adopted lands. While the Jewish community in Tunisia is trying to survive as best it might, the collapse of institutions and the establishment of a new regime has led to improvisation and amateurism. The new leaders are lax and inexperienced, leaving the field open to gangs of thugs who commit assaults with impunity without fear of the law being enforced. In this context on Monday evening, July 4, 2011, while the Jewish community of Djerba was celebrating a wedding, as is the custom, for seven days under an open-air gazebo, a group of youths asked to drink and eat. It is usual to take them to a corner away from the guests and offer them some food, in order to show hospitality. This time, matters escalated into violence and the gang of thugs went on a rampage and physically assaulted the guests. Arab neighbors responded well by lending a hand to members of the community. But the next day, while the party continued, the same gang returned in even larger numbers to disrupt the evening. At no time did the local police intervene. The local governor failed at every level in his lack of experience and inability to handle the situation. Devoid of any authority over his troops, he was unable or unwilling to restore order, leaving the Jewish community at the mercy of the thugs. Not only did the local police fail to intervene against the aggressors but they showed understanding towards them and even some sympathy and encouragement. Alerted to the incident, the Chief Rabbi Rabbi of Tunisia Haim Bittan called for an emergency audience with the new President of the Republic of Tunisia Fouad Mebazaa on Wednesday 6 July, asking him to intervene at once. The President sent troops to restore order in the Jewish quarter. The incident passed unnoticed as people busied themselves with the Gaza-bound flotilla, but they show how unstable things are in Tunisia. (...) The fundamentalist and progressive anti-Zionist alliance may disturb what remains of Jewish life in Tunisia. The leaders of the Jewish community were asked not to reveal the incident so that the new government is not accused of antisemitism. A number of mosques are now run by fundamentalist imams and the synagogue in Tunis, undisturbed before the revolution, is now surrounded by barbed wire. The Jews of Pakistan were of various origins, but most were from the Bene Israel community of India, and came to Pakistan in the employ of the British. Yifah, a student at the Hebrew University of Jerusalem, relates that her great-great-grandfather Samuel Reuben Bhonkar, who was a Bene Israel, came to Karachi in British India to work as a jailer, and died there in 1928. The Bene Israel originated in the Konkan villages, but many moved to Bombay from the end of the 18th century on. In Pakistan, they spoke Marathi, their mother-tongue from Maharashtra; Urdu, the local language; and most spoke English. Prayers were conducted in Hebrew. "In 1893, a Bene Israel from Bombay, Solomon David Umerdekar, inaugurated the Karachi Magen Shalom Synagogue on the corner of Jamila Street and Nishtar Road, which officially opened in 1912. During these years, the Jewish community thrived. 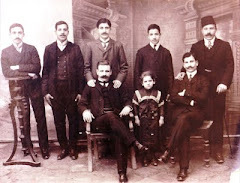 In 1903, the community set up the Young Man’s Jewish Association, and the Karachi Bene Israel Relief Fund was established to support poor Jews. In 1918, the Karachi Jewish Syndicate was formed to provide housing at reasonable rents, and the All India Israelite League, which represented 650 Bene Israel living in the province of Sind (including Hyderabad, Larkuna, Mirpur-Khas and Sukkur, as well as Karachi), was first convened – founded by two prominent Bene Israel, Jacob Bapuji Israel and David S Erulkar. Karachi became a fulcrum for the Bene Israel in India, the place where they congregated for High Holiday prayers. There was also a prayer hall, which served the Afghan Jews residing in the city. A 1941 government census recorded 1,199 Pakistani Jews: 513 men and 538 women. So accepted were the Jews of Karachi in these years that Abraham Reuben, a leader in the Jewish community, became the first Jewish councilor on the Karachi Municipal Corporation. The beginnings of anti-Zionism: On 15 August, India was partitioned and the Dominion of Pakistan was declared. Partition effectively signaled the end of the British Empire. Fearful of their future in the new Islamic state, Jews began to flee. Some from Afghanistan and the Bene Israel community in Lahore fled to Karachi and from there moved to Bombay. Muslim refugees from India called Mohajir streamed into Pakistan, and attacked Jewish sites. The situation was exacerbated by the declaration of independence for the state of Israel in May 1948. Many of the Karachi Jews left the city in 1948, after rioters attacked the Karachi synagogue during a demonstration in May of that year against President Truman’s recognition of Israel. Some members of the community emigrated to Israel via India, while others settled in Canada and the United Kingdom. Today, anti-Israel discourse manifests itself in the notion that Israel and Pakistan are ultimately in competition and only one can flourish. In April 2008, Lt-Gen Hamid Gul, the former chief of Pakistan's powerful Inter-Services Intelligence, proclaimed that "two states came into existence in 1947 and 1948: one, Pakistan; two, Israel. The two are threats to each other. Ultimately, only one of them will survive." Pakistan aligns itself with the Palestinian Muslim cause and rejects the US insofar as it is allied with Israel. The Karachi Jewish community since the 1980s: The Magen Shalom synagogue in Karachi was destroyed on 17 July 1988 by order of Pakistan’s President Zia-Ul-Hak to make way for a shopping mall in the Ranchore Lines neighborhood of Karachi. In 1989, the original Ark and podium were stored in Karachi; a Torah scroll case was taken by an American to the US. This year, a Muslim Pakistani-American filmmaker, Shoeb Yunus, shot a film about the Jewish cemetery in Karachi. Today, it is part of the larger Cutchi Memon graveyard, which has a Muslim caretaker. It took Yunus eight months to gain admission, and the camera crew was allowed only 10 minutes to shoot. He estimates that there are 200-400 Jewish graves. The neglected cemetery has not been destroyed since its last custodian, Rachel Joseph, died on 17 July 2006. "Hey, my Jew name is Abia but my family has given me the name of Maham. I was born in Karachi in a Jew family in 1989 but we moved to Multan. My family is not very much practising Jewish family and we know less about our religion but still are Jews. We all have one local name and one official Muslim name but we don't usually tell anyone that we are Jews and we love Pakistan but want to die as Jews. NOTE: please don't be offensive. All Jews living in Pakistan love Pakistan "
Iraqi-Jewish archives: what's Arabic for 'chutzpah'? Is there an Arabic translation for chutzpah? Because that's the only word to describe the Iraqi government officials who have started a campaign to demand back the damaged Jewish books and other artifacts that were rescued from a sewage-filled Baghdad basement during the 2003 invasion. The items are currently in the National Archives and Records administration in Maryland, USA where $3 million has been allocated for their restoration. Full story here. Deputy culture minister, Taher Naser al-Hmood is skeptical about their return, saying "We cannot trust the Americans. They have not fulfilled their previous promises." It is not enough that Iraq started its anti-Jewish legislation in 1933 and along the way murdered hundreds of Jews, injured masses more, stripped them of their citizenship and possessions and confiscated in excess of $20 billion dollars of assets from its Jewish citizens that were forced to flee. Now that it’s managed to drive out all but seven of their Jews (a community that numbered 150,000 pre-1948), it wants to pillage what remains of their heritage – documents, priceless Hebrew prayer books – some exceedingly rare – personal memorabilia and Torah scrolls. These items were stolen by the Iraqi secret police when they raided Jewish homes and synagogues for ‘incriminating evidence,’ seeking to accuse Jews of being Zionists on the slightest pretext. 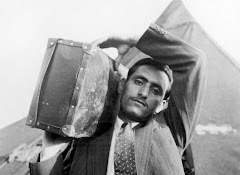 The documents were seized and stored in the secret police headquarters: shortly afterwards, the community was forced to flee with only a single suitcase. They are testimony to a once vibrant Jewish community dating back to the 6th century BC, one of the largest in the Middle East and the oldest in the world. They range from a medieval Torah scroll to children's Haggadot written in Arabic and Hebrew, and family photo albums. 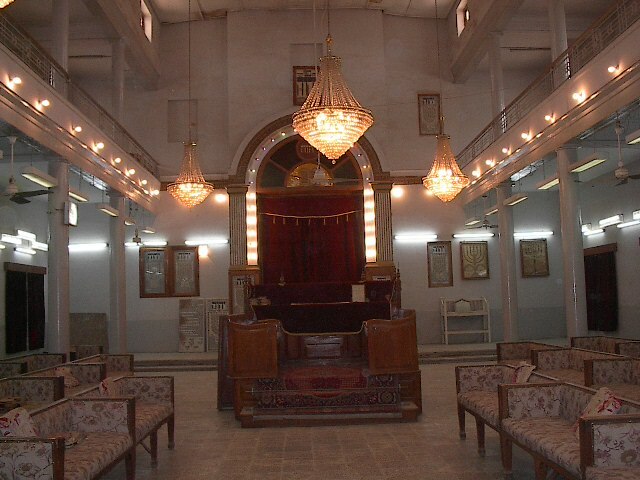 Iraqi officials believe they should keep the Jewish archive because it is vital that Iraqis know their history and that they be made aware that Jews were once part of this country. Do they envisage opening a Jewish Museum where they can recount their shameful treatment of their Jews? Will they tell their people about The Farhud in 1941 when 137 Jews were murdered by riotous mobs and hundreds more injured? Or the episode in January 1969 when nine Jews were hanged in the center of Baghdad on trumped-up spying charges, while hundreds of thousands of Iraqis danced under the gallows? Or how Iraqi Jews were only permitted to leave Iraq provided they renounced their citizenship, not knowing they were also to sign away their properties and businesses? Do they really imagine that the descendants of this dispersed community are going to come on vacation to Iraq to see the stolen inheritances of their families? If the Jewish archive returns to Iraq, will Jewish scholars be allowed access in a country both hostile and unsafe for Jews? Iraq has a shameful modern history towards its Jews, and has never offered any apology or compensation to its ex-citizens. It has a lot of soul searching to do before it grabs the last remnants of their Jewish heritage. In my opinion, there really is only one place for these treasures, and that's in Israel where 90 percent of Iraqi Jews and their descendants now live. The Iraqi government should be humbly offering them to the Jewish State that struggled in its infancy to absorb these and other refugees. Their descendants should know more about their rich heritage that has been so sadly overlooked in the Israeli education system. Whether they should be displayed at the Babylonian Jewry Heritage Centre in Or-Yehuda or Beth Hatefutsot in Ramat Aviv is the only debate that should be happening around these important artifacts. 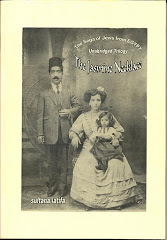 More information here and here about the Iraqi Jews.